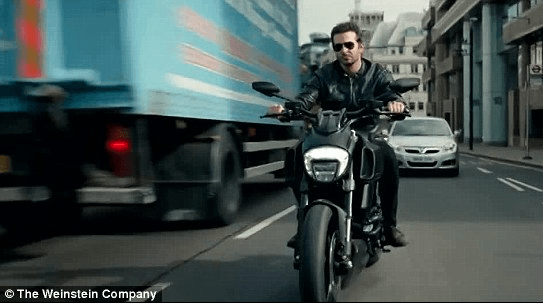 Burnt combines three of our favourite things – food, Bradley Cooper and great locations! Bradley Cooper stars as Adam Jones, a rebellious two-Michelin star chef on a mission to get the fabled third star and turn his life around. London sets the scene for Adam Jones to redeem himself after his disastrous past and FilmFixer was happy to help with a number of locations including the iconic Bankside in Southwark. Sienna Miller plays the love interest and in one key scene we see her winding through the bustling Brixton Outdoor Market in Lambeth – the production made a donation to Brixton Market traders. Another key scene with main character Bradley Cooper this time was filmed in the Imax Tunnels. And Mepham Street is another Lambeth street that makes an appearance. In Camden they filmed in an alley in Stacey Street and made a donation to the Tin Pan Alley Traders Association.